Second Harvest is the regional nonprofit committed to fighting hunger. Working together with a vast network to acquire, gather, and distribute nutritious food, Second Harvest helps feed tens of thousands of people throughout Crawford, Erie, Huron and Lorain counties. For every $1 donated we can provide 5 meals to those at risk for hunger. We connect people at risk for hunger to fresh, healthy, and nutritious foods. We work with local farms and retailers to provide fresh produce and meats to our Farmer's Markets, mobile pantries, and network of over 100 local partner charities. We use your donations to help us acquire, gather, and distribute nutritious food to our network of over 100 partner charities to help feed tens of thousands of people across four counties. 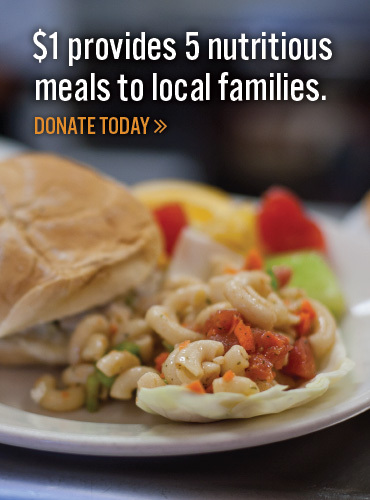 For every $1 donated, we can provide 5 meals to families at risk for hunger. We realize hunger is not a choice, and that hunger affects every community in the four counties we serve, so we're on the road fighting hunger wherever we find it. By supporting over 100 partner charities, sponsoring mobile pantries and farmer's markets, and giving food–filled backpacks to hungry children at schools, we're doing more to reach those who need a nutritious meal.